Please answer each of the following questions about yourself by checking Agree or Disagree. 1) I always do favors for others. 2) Even when things are difficult, I know that I will do OK.
3) I would not quit a job unless I had another. 4) I worry about selling more than most people. 5) I have set high goals for myself in life. 6) To be honest is not important in selling. 7) Sales people usually have hidden agendas when they sell. 8) I like sales because it often involves working with groups of people. 9) Customers generally tell me their problems. 10) I never rest until the sale is closed. 11) I have many self-doubts at work. 12) The concept of a good company man is an outdated one. 13) I would not buy anything expensive if I were in danger of losing my job. 14) I enjoy working alone. 15) I get satisfaction from solving an impasse even if it takes a long time. 16) I am not usually concerned about what I said during a sales call. 17) A good sales person has total control over the sale. 18) I am usually early for appointments. 19) I like to help young people get started in life. 20) I like being popular with my customers. 21) People know that I usually come out ahead. 22) Losing a sale does not bother me. 23) Job security is one of my top priorities. 24) I like the risks and challenges that are involved in a sales career. 25) It is important to be very involved in the sale. 26) Customers enjoy talking to me because of my outgoing ways. 27) I always consider the suggestions of my customers even if I disagree. 28) I often feel nervous in a sales situation. 29) I do not see myself as a sympathetic person. 30) A good salesperson looks out for number one first. 31) I am seldom able to make sales by myself. 32) I have a lot of friends that I have made on the job. 33) Life in the “fast track” is for me. 34) Sometimes a sales call makes me nervous. 35) I expect to achieve a lot when I sell. 36) I like the freedom to travel that a sales job gives. 37) I believe there may be racial differences in how well people bargain. 38) I enjoy swapping stories with customers. 39) I like lending a helping hand to others. 40) I am sensitive to criticism from others. 41) I am self-assured in most work. 42) I enjoy “putting one over” on a customer. 43) I’d rather take my vacation at home than travel abroad. 44) I like to talk at company meetings. 45) I do not like difficult sales. 46) It is alright to skate around the law if you won’t get into trouble. How do you refer to your Customer: Dr. Mr. Mrs. Ms. Please answer each of the following questions about your customer by selecting Agree or Disagree. © 2009. 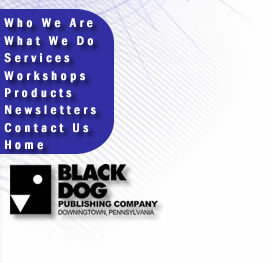 Black Dog Publishing Company. All rights reserved.